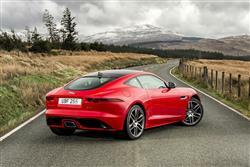 Jaguar describes this improved F-TYPE Coupe as the most capable and involving car it's ever built. A fixed-top version of the F-TYPE Convertible, this model cements the Coventry brand's reputation as an ever more credible rival to Porsche, reviving memories of some of the company's legendary classic coupes. It handles. It goes. And it delivers. What, commentators like us wondered at the Jaguar F-TYPE Convertible's original introduction in 2013, would a more focused fixed-top version be like, a stiffer, sportier, even more dynamic thing? This Coupe model, launched early in 2014, gave us our answer. It's rigid, rakish and revs like a race car, whether you prefer V6 or V8 power. Depending on model, you can choose manual or Quickshift automatic transmission and either rear or All-Wheel Drive. This is, in short, a very complete, very special machine indeed. Now it's got even better. 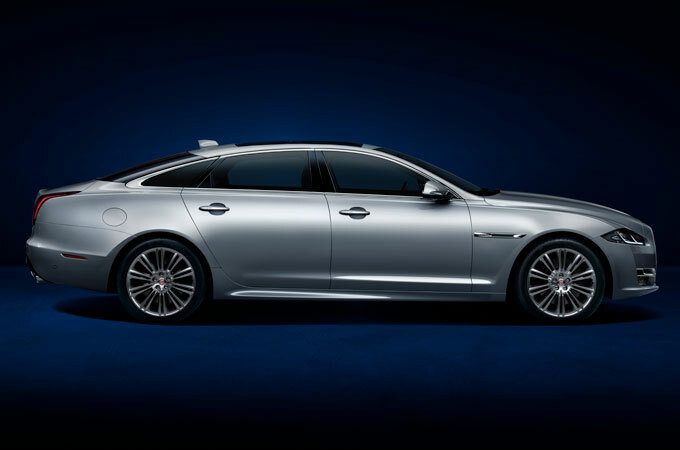 This latest car offers six engine choices, including an entry-level 300PS four cylinder 2.0-litre unit, then 340, 380 and 400PS versions of Jaguar's lusty supercharged 3.0-litre V6. At the top of the range lie 550 and 575PS versions of the ballistic supercharged 5.0-litre V8 that comes with AWD. Plus there are now piercing full-LED headlamps. And owners can now use a 'world-first' 'ReRun' app developed with GoPro that creates high quality video with real-time performance data. 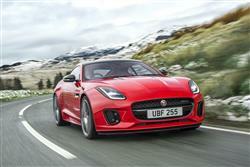 In short, Jaguar's baby soft top just goes from strength to strength. 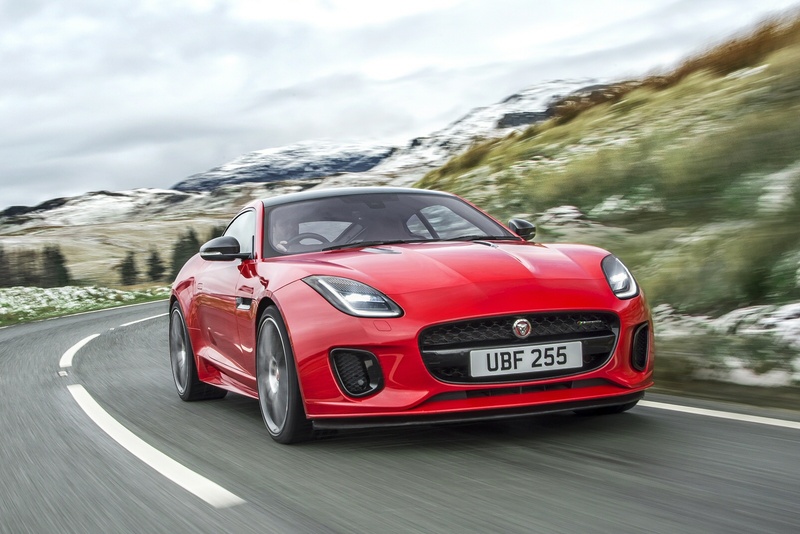 There are now three main engines available to power the F-TYPE, a 2.0-litre four cylinder unit with 300PS, a 3.0-litre supercharged V6 and a 5.0-litre V8. Even the 2.0-litre variant has quite a turn of speed, managing 60mph in just 5.4s en route to 155mph. Many though, will continue to desire the silky roar of the supercharged V6, these days available with either 340, 380 or 400PS. The 380 and 400PS models get the option of AWD. With the 340 and 380PS variants, buyers can choose between manual and Quickshift auto transmission; with the '400 Sport', its 'Quickshift' only. You'll also be limited to the auto 'box if you opt for one of the 5.0-litre V8 models - and these potent variants only come with AWD. The F-TYPE R gets this powerplant in 550PS form, while the flagship SVR derivative uses this engine with 575PS on tap. Got all that? I'll be asking questions later. You're going to want to lower the fabric roof to better hear these engines of course - a process that can be accomplished in just 12s at speeds of up to 30mph - but once you do, you won't be disappointed. Personally, I usually like my automotive sound effects to come from the engine rather than, as here, the tailpipes at the back but even I have to admit that this car hums an addictive tune. 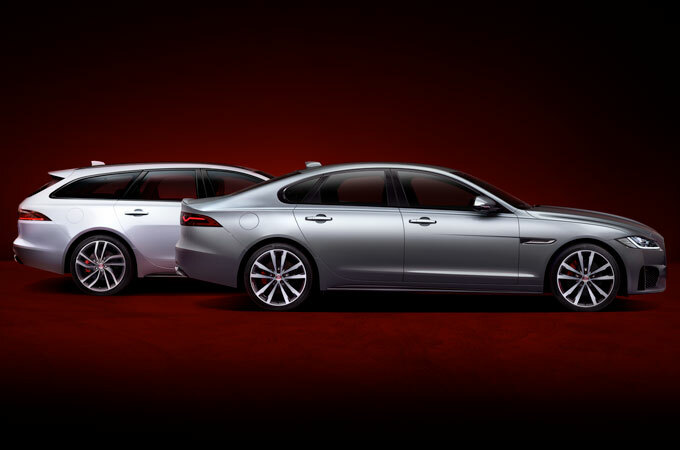 Whichever variant you choose, performance is striking. Even the feeblest 300PS model makes 62mph from rest in just 5.7s, while the V8 F-TYPE R covers off that sprint in just 4.2s. As before, the 380PS F-TYPE variant most buyers choose gets a mechanical limited-slip differential, while the V8 gets an electronic item. 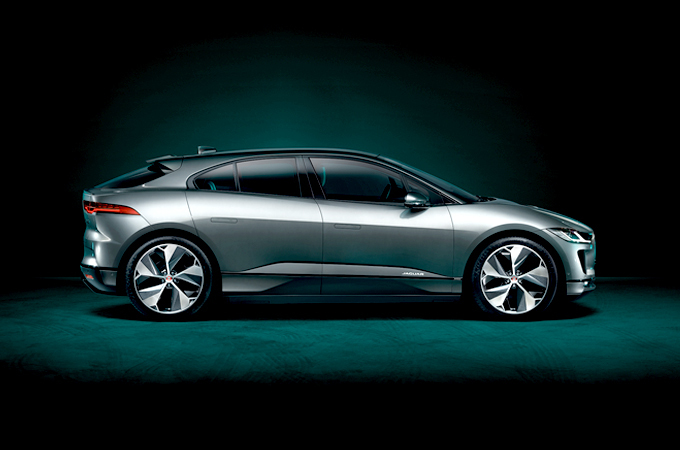 Across the range, you get an all-aluminium chassis, double wishbone front suspension and a multi-link-suspended rear. The visual changes made to this improved model are small but significant, centring mostly on a front end now embellished by full-LED headlights that sit above a re-styled bumper. 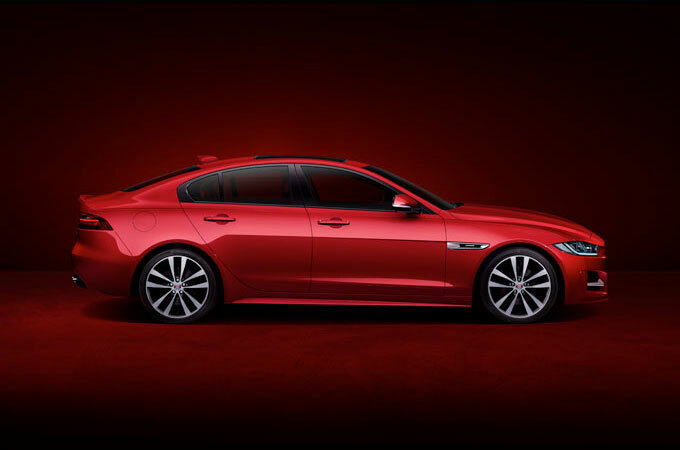 Jaguar's distinctive J-Blade daytime running lights are retained, and these now double as the direction indicators, with the lamp's 'eyelid' indexing with the bonnet's cutline to further accentuate the lights' multi-layered graphics. Otherwise, it's as you were. Aesthetically, there are some lovely details such as the pop-out door handles and, inside, the single flying buttress that swoops down from one side of the centre console. Then there's the neatly styled gear selector, the giant TFT display in the dash and the deep-set driving position. 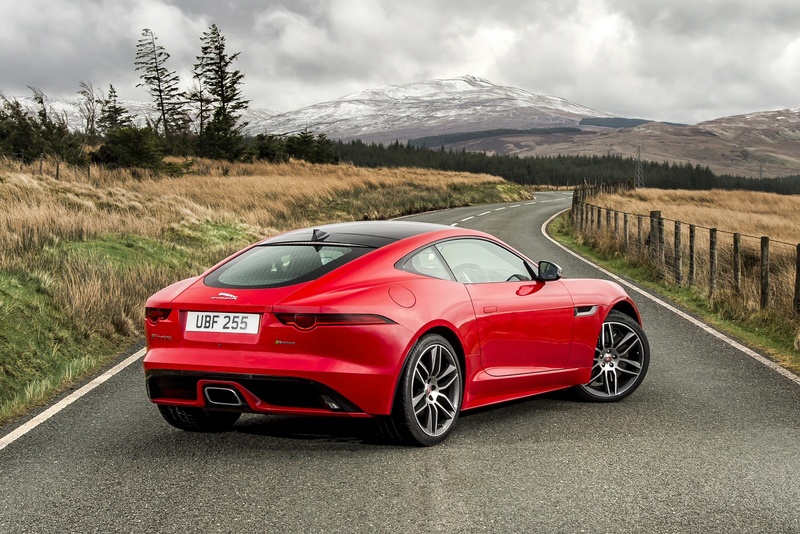 We still think that visually, the F-TYPE Coupe bodyshape works really well, with its short wheelbase, power-packed set of rear haunches and elegant roof line. It manages to make the Porsche Cayman seem rather hall-of-mirrors in its proportioning and while it's not as instantly beautiful as an Aston Martin Vantage, it looks as if it would thoroughly work the Vantage over in a bar fight. 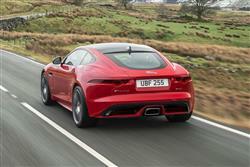 The boot is relatively big, giving the F-TYPE Coupe genuine GT potential. 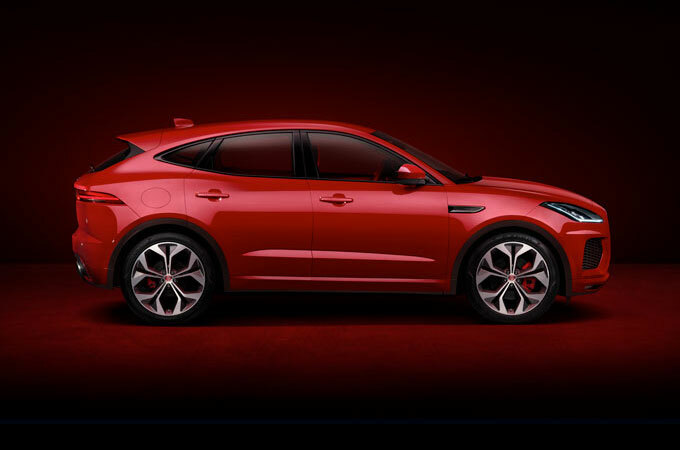 You'll get 315-litres in up to the parcel shelf and 407-litres to the window line. A 72-litre fuel tank gives a realistic cruising range of over 340 miles. You can even specify the car with a panoramic glass or carbon fibre roof. This Coupe F-TYPE bodystyle will save you around £5,500 in comparison to its Converible counterpart, which means that prices start at around £50,000 for the base 4 cylinder 300PS version. You'll need around £53,000 for the base V6, the 340PS model, while a budget of around £75,000 is required if you want the pokier 400PS powerplant. There's a premium of around £1,700 to pay if you want Quickshift automatic transmission rather than the manual 'box. The auto-only F-TYPE R Coupe models start at around £91,000 and if you want the top SVR variant, think in terms of needing around £111,000. 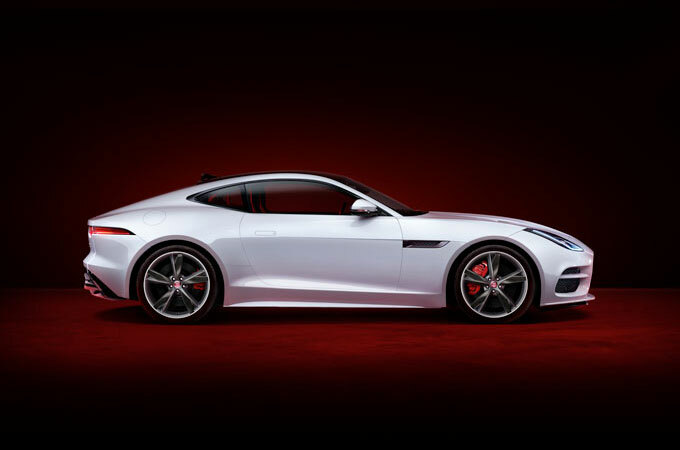 All F-TYPE models now get full-LED headlights, plus a more sophisticated 'Touch Pro' infotainment system which includes online services such as real-time traffic and live weather reports. Even the entry-level variant gets sports suspension, 18-inch alloy wheels and sports seats with leather and suede-cloth. 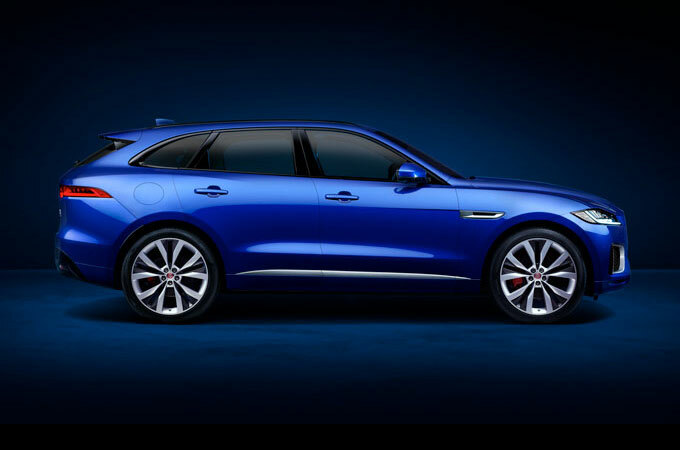 And buyers can also expect features like USB, auxiliary and iPod connections, a rear parking aid, climate control, six-way electrically adjustable sports seats, Bluetooth, a DAB radio and Jaguar's clever Pedestrian Contact System. True enthusiasts will be able to capture and share their driving experiences using the new ReRun app developed in collaboration with GoPro. In a world-first, ReRun combines real-time video from the driver's GoPro with key vehicle performance data including speed, throttle position, gear selection, braking force and g force. The high quality video - including unique 'highlights' sections - can be downloaded to the driver's smartphone and shared on social media. 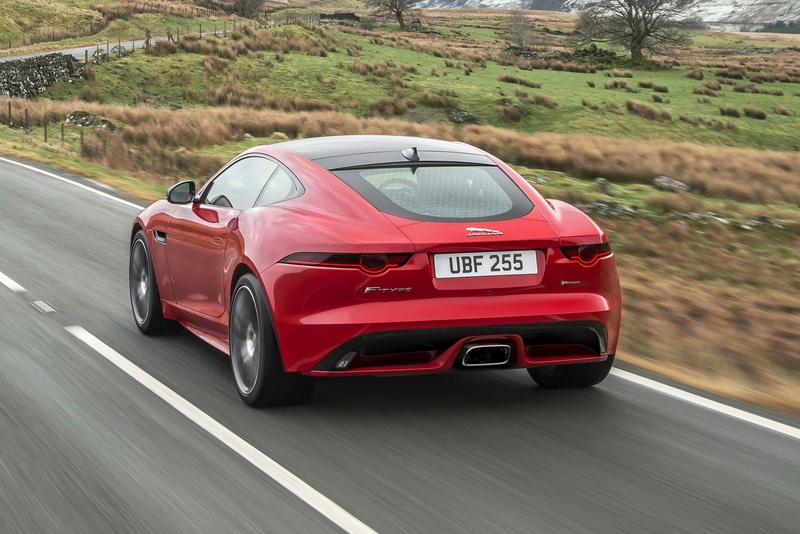 Although there are some better performers in its class when it comes to economy and emissions, the F-TYPE Coupe is there or thereabouts. At the base of the range, the automatic 2.0-litre 300PS RWD F-TYPE records 39.2mpg on the combined cycle and emits 163g/km of carbon dioxide. With the 340PS V6, the figures are 33.6mpg and 199g/km. Go for a manual model and those figures are significantly worse, at 28.8mpg and 234g/km respectively. Just to put those V6 model numbers into some sort of frame of reference, a 370PS Porsche 911 Carrera Cabriolet with a manual 'box records 33.2mpg and emits 195g/km. 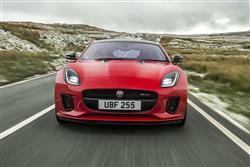 You'll need deep pockets to run the V8 model; the F-TYPE R manages 26.4mpg and 255g/km. Overall, we think that all of that's irrelevant. If you average more than 20mpg in this car, then you're not using it properly and it deserves a better home. You know where I am. Depreciation on the F-TYPE Convertible hasn't been at all bad, with the entry level car recording a 110 pence per mile cost of ownership over a three year/36,000 mile tenure. The Coupe is a more affordable so should do even better. If you’re looking for a new Jaguar F-Type 3.0 Supercharged V6 2dr Petrol Coupe for sale, you’ve come to the right place. At Bristol Street Motors we don’t just have the best Jaguar F-Type 3.0 Supercharged V6 2dr Petrol Coupe deals, we also offer friendly advice and help with all your enquiries to ensure your buying experience is a happy experience.